The open reading of permission (OR) states that an action α is permitted iff every execution of α is normatively OK. Free Choice Permission (FCP) is the notorious principle turning permission of disjunction into conjunction of permissions P(ϕ ∨ ψ) → Pϕ ∧ Pψ. We start by giving a first-order logic version of OR that defines permission of action types in terms of the legality of action tokens. We prove that implies FCP. Given that FCP has been heavily criticized, this seems like bad news for OR. We disagree. We observe that this implication relies on a debatable principle involving disjunctive actions. We proceed to present alternative views of disjunctive actions which violate this principle, and which so block the undesired implication. 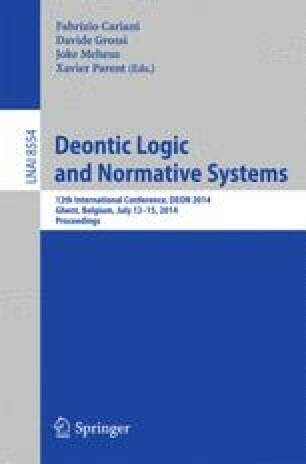 So one can have the open reading without free choice and, as we argue towards the end of the paper, there are philosophical reasons why one should.